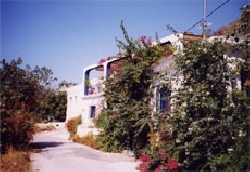 VILLAS AND APARTMENTS TO RENT IN LAS ALPUJARRAS, SPAIN. 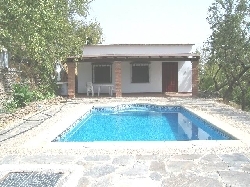 Welcome to our selection of holiday homes to rent in Alpujarras, Spain. The Alpujarras is located south of Granada and is a beautiful mountain range offering some of the best countryside in all of Spain. This is ideal hiking terrain for adventurous travellers with the average altitude is 4,000 feet above sea level. If you do choose to stray from the beaten path, you will be sure to catch sight of the areas abundant wild life and stunning scenery. The villages of the Alpujarra offer unique hamlets, which have retained their traditional architecture, terraced clusters of white box-shaped houses with flat clay roofs, which is still common in the Rif and Atlas mountains of Morocco. 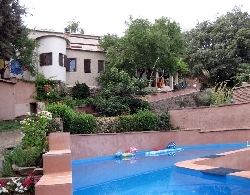 Looking for self catering holiday accommodation in Alpujarras? Then below is a selection of apartments in Alpujarras and villas in Alpujarras that can be rented direct from their owners. You can either click on each listing for further details or you can use our search engine on the left if you are looking for something in particular. Hiking - If you enjoy hiking, then taking a visit to the Villages of the Alpujarras are a must. With an average altitude of 4,000 feet above sea level, this is the ideal hiking terrain for adventurous travellers visiting the area. If you are adventurous and decide to part from the trail, you are sure to see some magnificent scenery and wildlife plus the beautiful environment. Trev�lez - Why not visit Trev�lez? Famous for being the home of the finest jam�n (Spanish ham) in the country. At 4,840 feet above sea level, this village is the highest village in Europe. The village overlooks a stunning river and a plummeting mountain valley. Houseback racing - Travelling through the village of Alpujarras on horseback is a great way to get the full experience the full beauty of the Sierra Nevada. There is a range of tour operators available in Alpujarras that accommodate a guided tour around the village and its surroundings on horseback. The villages of the Alpujarras are situated between the Sierra Nevada and the sea. The Alpujarras has a range of beautiful villages with some stunning countryside. With some of the best trails in the country, if you enjoy hiking visiting the Villages of the Alpujarras is a must. If you decide to go for a walk and choose an alternative path, you will be certain to catch a sight of the areas wildlife and beautiful scenery. If you don't have a car, travelling to the village is difficult as public transport is limited in the area.